Former RAAF fast-jet pilot Christian Boucousis is the driving force behind Afterburner Australia, a company offering cutting-edge high-performance coaching and business leadership development programs. Boucousis joined Defence Connect’s own Phillip Tarrant to discuss how specific skills, mindsets and processes more commonly deployed in the cockpit of a fighter jet can also significantly boost business growth. Boucousis told Defence Connect that his current brief mainly involved working with businesses both large and small to help them improve their operational performance from a strategic standpoint. "That's my passion project," he said. "I head up a company in Australia, which I acquired a few years ago called Afterburner Australia and it is a branch, I suppose, of a global company called Afterburner." Boucousis said Afterburner’s core strength was its key offering: an execution program dubbed Flex. He went on to highlight some of its principles and methodology. "It comes from the fighter pilot community, and really it's about an objectives focused business where we create simple strategy that gets implemented with the ultimate aim of achieving the same strategic execution rate of a fighter pilot – being 98 per cent," he added. Boucousis said that due to the typically long lead times in business resulting from the procurement timeframes of Defence contracting, it was easy for companies to lose sight of the day-to-day operation. "We like simplicity," he said. 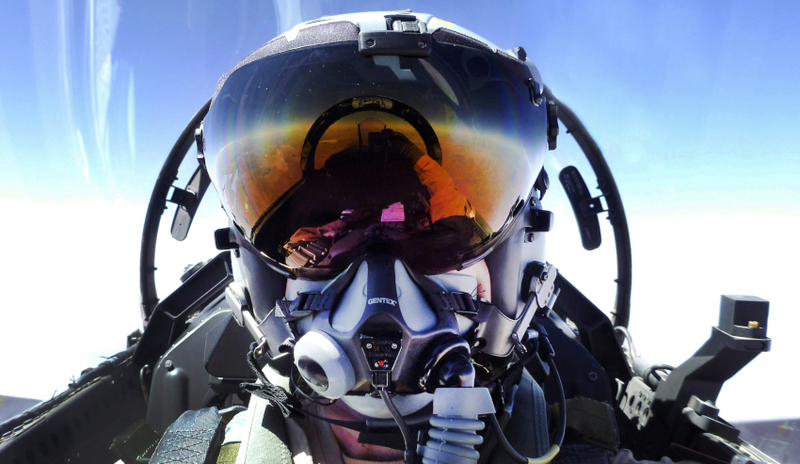 "[As] fighter pilots, we like the number of take-offs [to] equal the number of landings. I don't even have three questions, I only have one, 'What are you trying to achieve in the next three months?'"